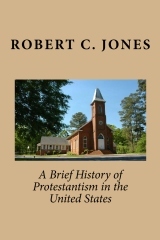 1/22/2010: "A Brief History of Protestantism in the United States" has been published. It contains the contents of both "A Brief History of Protestantism in the United States" and "Origins of the Major Protestant Denominations in the United States". (102 pages). It is available now on Amazon.